Duron Harmon is a professional athlete who plays in America’s National Football League (NFL). He began his career back in 2013 after getting drafted by the New England Patriots. He has won multiple SuperBowl titles with the Patriots. Playing in the safety position, Harmon has a well-known ability to deliver late, game-winning interceptions and this earned him the moniker “The Closer”. Before turning pro in 2013, this NFL star played for the Scarlet Knights of Rutgers University. Duron Harmon was born on the 24th day of January 1991. He was born and raised in Magnolia, a town in Kent County, Delaware. He schooled at Caesar Rodney High School. There, he lettered in football and was a star player for the school’s football team, the Caesar Rodney Riders. Among other highlights of his high school career, Harmon won the 2008 Gatorade State Player of the Year Award in Delaware after an explosive senior year performance. Harmon had his college career at Rutgers University where he played for the Rutgers Scarlet Knights football team between 2009 and 2012. The talented player started in 27 out of 50 appearances of his college career and among other high points, he received All-Big-East First Team honors both in his junior and senior seasons. 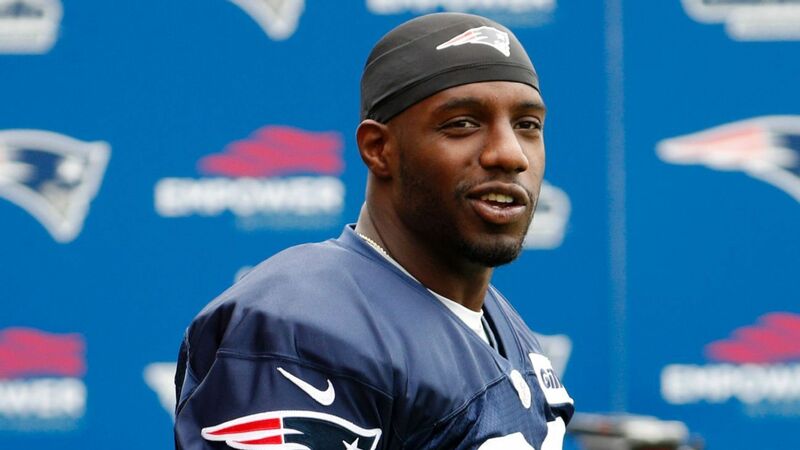 While at Rutgers, Duron Harmon majored in labor studies. Harmon was selected by the New England Patriots in the third round of the 2013 NFL Draft with the 91st overall pick. This came as a surprise to several watchers as he had been projected as a 7th round pick by draft evaluators and analysts prior to the draft. In May 2013, he signed a 4-year contract with the Patriots marking the beginning of his professional career. He was named the Patriot’s backup strong safety prior to the start of the 2013 regular season. Duron Harmon debuted for the Patriots in the team’s week 2 fixture opposite the New York Jets and he recorded one tackle in the game. He replaced Steve Gregory as the Patriots starting strong safety after the latter got sidelined by an injury in November 2013. The talented player made only three starts out of 15 total appearances in his rookie season and he finished the season with 31 combined tackles (24 solo), 4 pass deflections and two interceptions. Harmon remained a backup safety in the 2014 season as he recorded no start in all 16 appearances for the season. He finished with 11 tackles (7 solo), one pass deflection, one interception, and one fumble recovery. For obvious reasons, the highlight of Duron Harmon’s 2014 season was winning the first Super Bowl Championship title of his career when the Patriots defeated the Seattle Seahawks at Super Bowl XLIX. The talented player saw a little more playing time in the 2015 and 2016 seasons even though he became the third safety of the Patriots. In 2015, he recorded 19 combined tackles (13 solo), 5 pass deflections and 3 interceptions in a total of 16 games with 3 starts. For the 2016 season, Harmon featured in 16 games with 4 starts and he finished the season with 29 combined tackles (24 solo), two passes deflected, one interception, one forced fumble and one fumble recovery. The NFL star also earned the second Super Bowl title of his career when the Patriots overpowered the at Atalanta Falcons at Super Bowl LI. Duron Harmon signed a 4-year contract extension with the New England Patriots in March 2017. He had a fairly impressive performance in the season as he recorded 23 tackles and career-highs of 7 pass deflections and 4 interceptions. He also had a brilliant 2018 season as he finished with 38 combined tackles (32 solo), 4 pass deflections, 4 interceptions and one fumble recovery. Duron Harmons’ parents both studied at Delaware State University. His mother Dawn Harmon is a middle school teacher while his father Derik Harmon earns his living as a blue-collar worker. The NFL star also has 2 sisters. 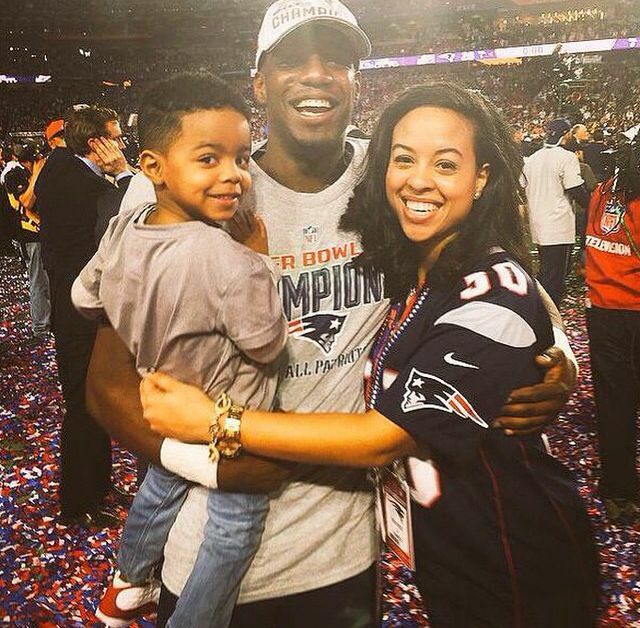 Duron Harmon’s career can be adjudged to be successful and interestingly, so is his family life. This NFL star is married to his high school sweetheart Christine Melissa (née Sanchez) who is an event planner and designer. She is the founder and chief consultant at ChrisFête Events, an event management company based in Massachusetts. Christine studied at St. John’s University in Queens, New York where she majored in Hospitality Management/ Event Management and minored in Business Administration. This picture-perfect couple got married on May 27, 2016, and they have three children together. They welcomed their first child on June 22, 2011, a son named Christopher. Their second child was born on November 5, 2015, a son named Dallas Daniel Harmon. In November 2018, the couple welcomed another addition to their family, a third son. Duron Harmon stands at an impressive 6 feet 1 inch (185 cm). He keeps his weight in check at 93 kg (205 lb).